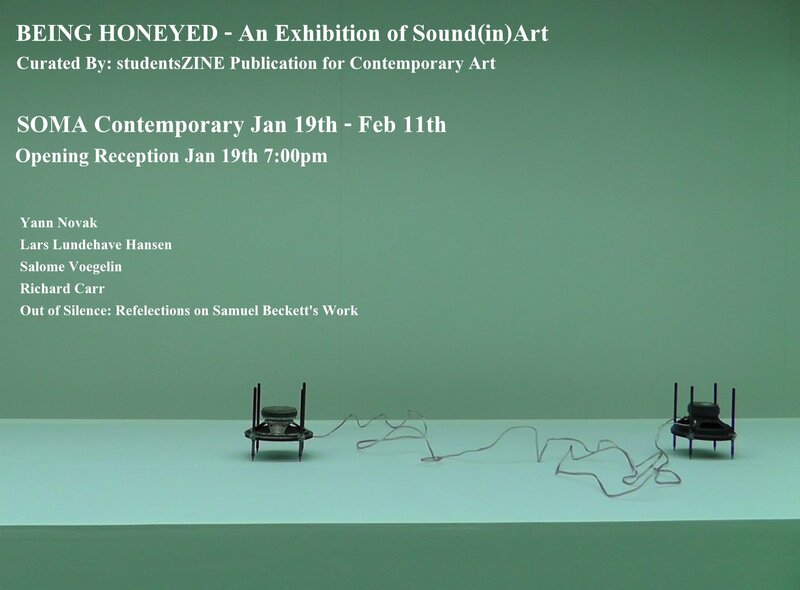 OUT OF SILENCE – sound reflections on Samuel Beckett´s work is part of “Being honeyed” at Soma/Waterford, Ireland. OUT OF SILENCE, a really blended sound collection with many international artists about this theme on a double CD ( John Duncan, Sarah Boothroyd, Wolfgang Peter Menzel, Merran Laginestra, Antanas Kučinskas, Leo Bettinelli, Charlie Williams, Philip Julian, Jefferson Boss, Pedro Lopez, Robin Parmar, Richard Carr, Marc Egea, Ola Ståhl, Seth Guy). The pieces on this double CD are now presented in this sound exhibition. Don´t miss it.